Have you ever wanted to be a monkey's uncle, or to tuck an ostrich under your wing? 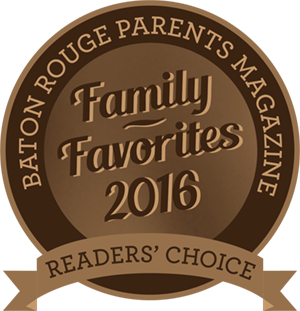 With our Adopt-an-Animal program, you can be a parent and more to any of the animals at the Baton Rouge Zoo! Your donation not only allows you special benefits that only our adoptive parents enjoy, but also helps our animals. All proceeds from the Adopt-an-Animal program benefit your Baton Rouge Zoo and our commitment to various conservation efforts. Browse through our list of animals at the Zoo and click on the animals you like to learn more about each one. Different levels of donation offer different levels of adoptive parent benefits! Order online, or print out an application and send it in with your payment. *Our Go Green parents will be emailed their certificate, Zoo Keeper's Report and high-resolution photograph in electronic format in order to save paper waste! Adoption Certificate: Proudly display your adoption with this 8.5" x 11' certificate signed by the Zoo Director, verifying your donation. Adoptive Parent Decal: This 5"x 3" window cling is the perfect way to let the world know that you support the animals at YOUR Baton Rouge Zoo! Zoo Keeper's Report: To help you begin your new journey as a Zoo Parent, we will provide you with a fact sheet about your newly adopted animal with everything you need to know. Photo: Frame it, hang it on the refridgerator, put it on your desk--whatever you desire! This glossy, hi-res photo will keep your "adoptee" at the top of your mind at all times. Annual Plush: Enjoy a plush zoo animal as an additional thank you for your donation. Subscription to Wild Times: Enjoy a year of Wild Times, the Zoo's quarterly newsletter--filled with animal facts, Zoo news and educational games! Meet the Keeper Day: Enjoy day passes for four individuals to the Zoo as you come to visit your animal and get an opportunity to meet the Zoo Keeper in charge of your animal's care. All animal adoptions are good for one year and are renewable. If the animal you would like to adopt is not listed, please contact us. Due to their popularity, some animals may be adopted concurrently. All adopted animals remain in the care and custody of the Baton Rouge Zoo. Because zoo animals are living creatures, they can become ill, die, be moved off exhibit or to other facilities. The Zoo retains the right to remove any animal from public display. If your adopted animal leaves the Zoo, dies or is moved off exhibit, your gift will still be used and appreciated for the remainder of your adoption year.